Grad school can be pricey, and even a teaching assistant position or a part-time job will probably not cover all your costs. How can you cut corners and avoid racking up credit card debt as your pursue your higher education? You may not be able to avoid the costs of tuition, room and board, and books, but even the smaller fees add up. Here are four ways to save a considerable amount of moolah! Try to spend your time at networking events that don’t revolve around bars and restaurants. A couple hours spent at a local bar off-campus can easily equal a $50 tab. There will be a lot of events, and you’ll break the bank if you try to eat every meal out or buy round after round of drinks. If you do go out, leave your credit cards at home, and only bring $20 in cash. That way you won’t be able to spend more than that and won’t be able to have more than one or two drinks. Make sure your bank isn’t charging you a checking account fee every month. Why should you be paying a bank more than $120 a year for the privilege of holding your money? Shop around. A local credit union, such as a bank connected to your school, may offer you a better deal. Another way to avoid a bank fee is to set up a direct deposit. If your paycheck is directly deposited into your account, you may be eligible for other pluses at the bank. Become a serial snacker. When you leave in the morning, you probably will have a full day of work, classes, meetings, and study sessions. Avoid the fast food and expensive take-out places on campus. Keep healthy snacks in your bag all the time--sandwich baggies of apples, clementines, granola bars, almonds, etc. Think about it. 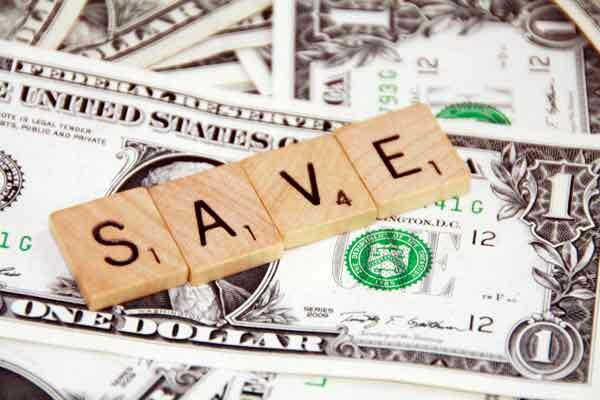 If you stopped spending $10 even three times a week on meals and snacks, you would save $120 a month, or $1,440 a year! It’s much easier to track your costs when you know exactly what you’re spending. Many banks have a smartphone app where you can check your accounts, so use that to your advantage. You could also go old school and track your expenses in a notebook! Whatever you choose to do, you’ll find it’s easier to see where your money is going when it’s in writing. That daily coffee shop visit may feel like pennies, but when you look at an entire week, you see that cost add up quickly!